India is as we all know, a multidimensional destination. Every 200 km or so, people look different eat differently, dress different, speak differently and even sometimes act differently. So while travelling in India, you are buying a single ticket to a whole lot of various destinations which expose you to various different cultures. You would come across different people and different experiences. That is what India is all about. When you leave India you learn a lot about life as a whole and of course India would put a smile on your face. As a National award winning tour operator in India, we at Indian Panorama provide travel recommendations and tips to make your holiday something special and hassle-free at the same time. We also wish to create awareness among foreign travellers on how to deal with certain situations. As said, India has a whole lot to explore in its lap and even a whole lifetime would be short to explore the whole country. Decide on which destinations you would like to experience. Do a research on which destination match your travel style. Do you love hiking the mountains? We have the Himalayas! Do you want to get wet beneath roaring waterfalls? We have the Jog Falls! Are you fond of historical monuments and ancient architecture? We have Mahabalipuram and Kanchipuram! You fancy getting lost in the wilderness? We have the thick woods of Periyar! Are you in to learn Yoga and meditation? We have ashrams at the Yoga Capital of the world, Rishikesh! You dream of strolling through the golden sands of a desert? We have the great Rann of Kutch! You wish to have a sunbath and witness the sunset? We have the crescent beaches of Kovalam! And you love to party? Oh! 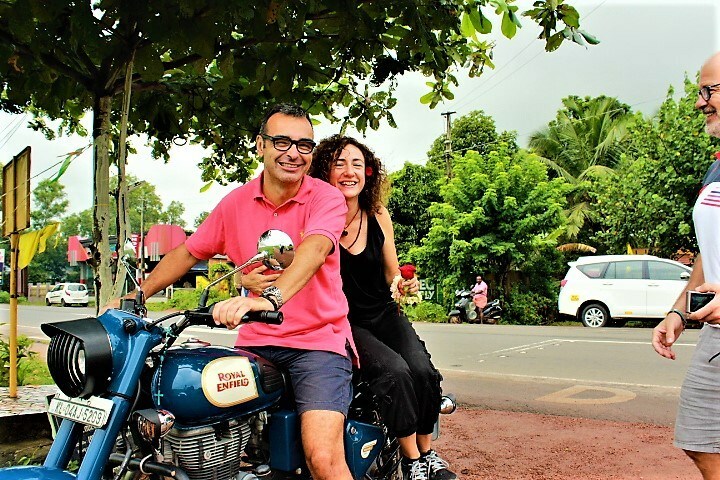 Yes, we have the hippie beaches and disco bars of Goa! There are numerous tour operators in India who would promise you a great holiday, however only a few of them live up to the expectation. Therefore while choosing your tour operator, do a thorough research on the authenticity of the tour operator you are going to spend your money on. Visit their website, their Social Media profiles, traveller reviews in Trip Advisor and other Social Media platforms. 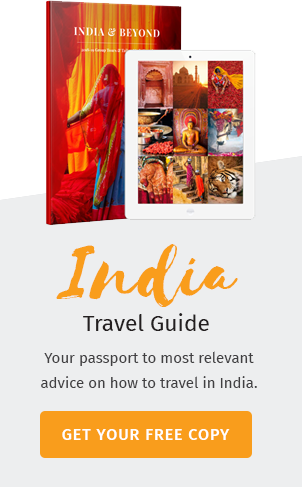 Seek recommendation from your friends or relatives who have been to India. Ask them about their experience with the tour operator they travelled with. Being a National Award Winning tour operator for three times, we at Indian Panorama have served tens of thousands of happy travellers across the globe. We always provide what we commit and see to it we even exceed our client expectations in all aspects. Food in India may not suit everyone, especially those who are not fond of more spicy food. However when you are in India, giving it a try is not a bad idea. The only thing you need to think about is hygiene. Before you decide on a restaurant you eat, check with your tour operator for a recommendation or even your driver could help you with his knowledge, considering your food preference. And when you are in, you could always ask your restaurant attendant to take your recommendation on how you need your food. They would be happy to cook the way you like. If you are not into Indian food, there are many restaurants catering to European, American or Chinese travellers. Again your Tour Operator could help you with expert recommendations. There is a hype that India is not safe for foreign travellers. It is never true. Good and bad is everywhere. The country see millions of winged visitors from all over the planet. It is just what you think and moreover how you feel India. Always stay free of all your worries and blend in with the country. Be confident in what you are up to and be sure how you want to explore India. You may come across a lot of scams and chances are the local guides and shopkeepers try to squeeze your money out. Just wave them off with a smile. Get out of the bustling city. Head off to the rural villages in India. There lies the real India where you could dig deep into the Indian culture. Stroll through the countryside and enjoy the local life. Mingle with the local residents freely, they are welcoming and generous. You may fall victim to certain strange stares, but that is just a matter of curiosity. People get curious when they see travellers belonging to ethnic origin foreign to them. Once you get to know them, you would definitely experience the extravagant hospitality of the Indians. Now, speaking about the climate, there is a clear difference between the South Indian and North Indian states. The Southern part of India experiences tropical climate whereas the Northern part experiences temperate and alpine climate with the strong influence of the great Himalayas. The most enjoyable time and the recommended period to enjoy India is during the cooler months [November till February] when the climate is cool and inviting. This is the time most of the tourists prefer to fly to India. However, if you would like to explore India ignoring the heat, India is still worth it as she still looks at her best when it gets hot [March- June]. Ready for your Indian Holiday? We can help you plan your dream vacation in India. Happy Travelling! India is calling!